Biofuels International: A senior official from the Food and Agriculture Organisation of the United Nations has said sugar cane cultivation can supply both food and fuel without harming the environment. Speaking at a 7 June EURACTIV event, Olivier Dubois said Brazil shows that biofuel production doesn’t necessarily have to raise food prices or damage the environment. In particular, he stressed the importance of avoiding oversimplification of the debates surrounding biofuels as such generalisations rarely reflect reality. Dubois argued that biofuels should be seen as a tool for responsible investment in agriculture and rural development. 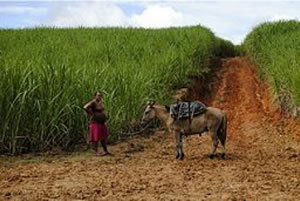 He used Brazilian sugarcane as an example, which he argues hasn’t caused land use changes or food changes through its use as a source for bioethanol.